No doubt having a PAN Card is a necessity given that it serves as a statement of your bank and finance related works. Still, most of us are unaware of the real added advantages that it offers us. Apart from serving as a legal proof, PAN Card comes handy in a gamut of ways. 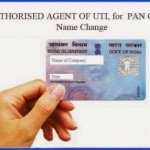 Here we have come up with some main benefits of having a PAN Card along with some reasons that suggest its importance. A PAN Card or Permanent Account Number is a unique 10-digit alphanumeric Identity Card that is allotted to every taxpayers by the Income Tax Department, under the supervision of the Central Board of Direct Taxes. Apart from it, the Card also serves as a strong identity proof. Don’t worry, it’s not compulsory for everyone to have a PAN Card, especially if you have nothing to do with income tax returns or you are not engaged in any major financial transactions. But if you do, it is essential for you to get one. Having a PAN Card always comes useful by improving your credibility in front of the Government and other reputable financial institutions. This in turn makes it easy for you to qualify for and get several types of loans and mortgages without much ado. PAN Card was actually introduced to estimate the aggregate tax generated in the country so that the authorities can fix the rate of taxation properly. Advantage to the Income Tax Department is that it lets them track your entire financial transactions, dealings, and hence fix the rate at which any individual/company should be taxed. Overall, it is a very useful tool to estimate the total revenue generated in the country. It serves as a national identity as it carries your entire information, like Name, Address, Photograph, etc. It is important when opening a bank account. It eases to file your tax-returns. It serves as an ID proof and is nationally recognized. For NRIs, buying property or indulge in business becomes possible only after filing tax returns with PAN Card. It’s a unique card for every user, your name, details etc may change in future but the PAN Card number remains the same. It helps purchasing automobiles easily. It is helpful in buying shares and debentures (exceeding the value of Rs.1, 00,000). It’s a valid photo ID proof. Now, we hope you are aware that apart from serving as an ID proof, important in sale/purchase of assets, income tax returns and in opening bank accounts, PAN Card is really important in lot more other ways. The universal identification key helps prevent tax evasion. What’s more? It remains unchanged irrespective of your address throughout India.